Thunderbird Artists, award-winning producer of juried fine art and wine festivals in Arizona, is gearing up for a unique celebration of the art of sculpture, the first of its kind in Arizona. Thousands of attendees, art lovers and collectors will gather enjoy and purchase the works of premier, award winning and emerging sculptors. 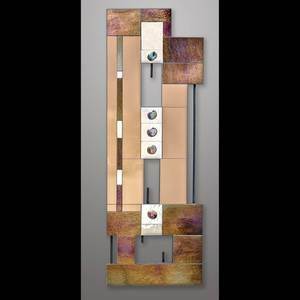 Artisans will display their creations in stone, bronze, glass, wood, pottery, copper and mixed media. The event will take place on the picturesque Avenue of the Fountains, overlooking the world-renowned, Fountain in downtown Fountain Hills. 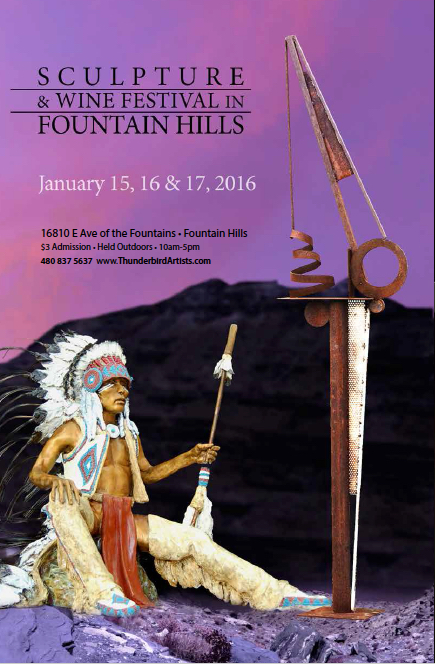 Sculptors from across the country will be participating in this three day show, January 15, 16, and 17, 2016. Admission is $3.00 per person; six winetasting tickets, including a souvenir wine glass is $10.00. Thunderbird Artists will unite with ICAN – International Cancer Advocacy Network, as the wine hosting & admissions charity for this event. This entry was posted in Area Events, Arts, Culture, Schools & Clubs, Businesses We Love and tagged Sculpture and Wine Festival, Thunderbird Artists. Bookmark the permalink.